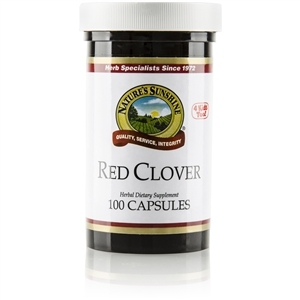 Red clover contains estrogen-like compounds known as isoflavones, including genistein (also found in soy). Isoflavones are phytoestrogens that may help support cardiovascular health and may be beneficial for the female glandular system. Red clover may also promote skin health. The blossoms and leaves provide trace amounts of some minerals and vitamins.